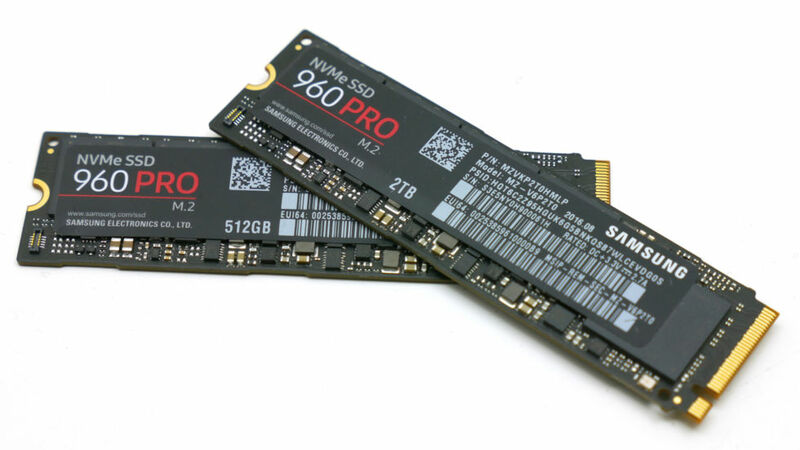 Two Samsung 960 Pro M.2 NVME SSDs. Photo by Edward Chester at Ars Technica. In Ars Technica’s benchmarks, the 512 GB model clocked in at over 3500 megabytes per second sequential read and 2000 megabytes per second sequential write. Those are jaw-dropping performance numbers. The implication is that most normal users will not subjectively experience much difference in speed between the 960 Pro and the older, much cheaper, model. Does this mean that we have reached some sort of theoretical limit where increases in drive speed simply do not impact normal computing activities anymore (some sort of performance plateau), or are there changes conceivable to the rest of our hardware and software to increase the effect of drive speedups? Related posts: 🌤 Weekly Head Voices #96: Never gonna give you up. 🌤 Nerd-alert: Ubuntu Linux 12.04 on my NVIDIA Optimus Samsung NP300V3A laptop 🌤 New Samsung NP300V3A laptop is welcomed into the family!